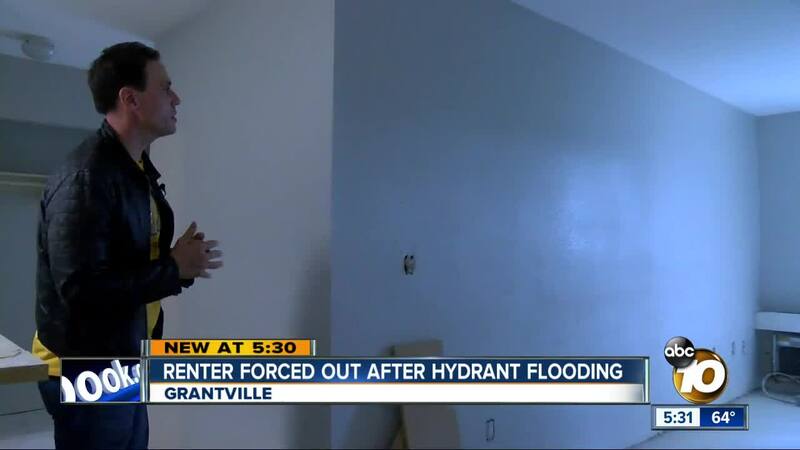 GRANTVILLE, CA (KGTV) - A temporary relocation is becoming permanent for one Navy sailor. A driver backed into a hydrant in February causing flooding to 10 units at the Mission Heights Condominiums in Grantville. Cody Downs was among the affected and hoping to move back in after his apartment was repaired, all while others affected moved out. The active duty sailor says he was told by the management association in February that he could likely move back in by March. “It was just missed deadline after missed deadline,” said Downs. On Tuesday, Downs signed his 30-day clearance notice after the owner he was renting from told him they were selling the unit because of mounting delays from the management association and contractor. Downs is searching for a new place now, but he just wishes he didn’t take them for their word.